Debit Card Compromise The recent data breach will affect many of our cardholders. It is the policy of your credit union to close ALL compromised cards and reissue a new card. We apologize for the frustration and inconvenience this causes our members. 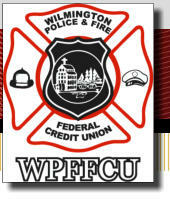 Wilmington Police & Fire FCU takes member security very seriously and takes every precaution to protect our member's information. Additionally, please review your account regularly to spot transactions that you don't recognize. Please keep your contact information up to date with the credit union. If you suspect fraud or feel you may have been compromised by this or any other breach and want your debit card canceled and reissued please contact us immediately at (302) 654-0818 to speak with a Member Service Representative.